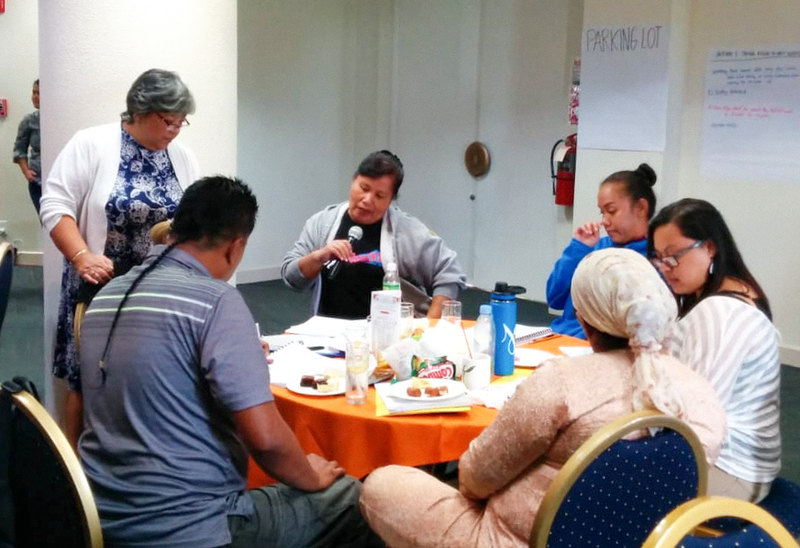 April 4, 2019: Vera Blaz, Guam CEDDERS Training Associate, facilitated training using the Center for Social and Emotional Foundations in Early Learning – Positive Solutions for Families Module for service providers from the Department of Public Health and Social Services Karinu and Manelu, Inc. Micronesian Resource Center One Stop Shop (MRCOSS). The modules, which were recently modified to ensure cultural appropriateness, include six sessions on how to deal with challenging behaviors with young children. 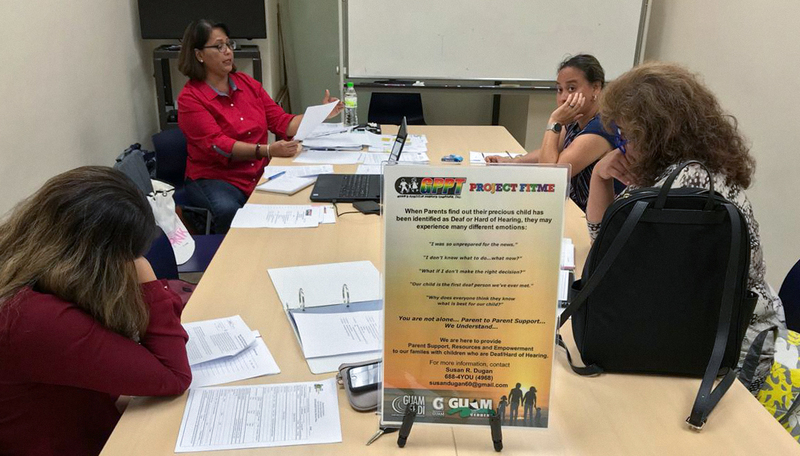 November 3, 2018: Guam’s Positive Parents Together, Inc. (GPPT) Project Fitme Coordinator Susan Dugan facilitated an “Individualized Family Service Plan (IFSP) training session at the Hagatna Library for parents of children identified with a hearing loss. Parents received an overview of the IFSP process. Pictured Left to Right: Jay-Lynn Mendiola, parent; Susan Dugan, GPPT Project Fitme Project Coordinator; Evelyn Topasna, Parent Mentor; and Trisha Suzuki, Parent Mentor. Not pictured: Ashley Babauta, GPPT Project Fitme Support Staff. 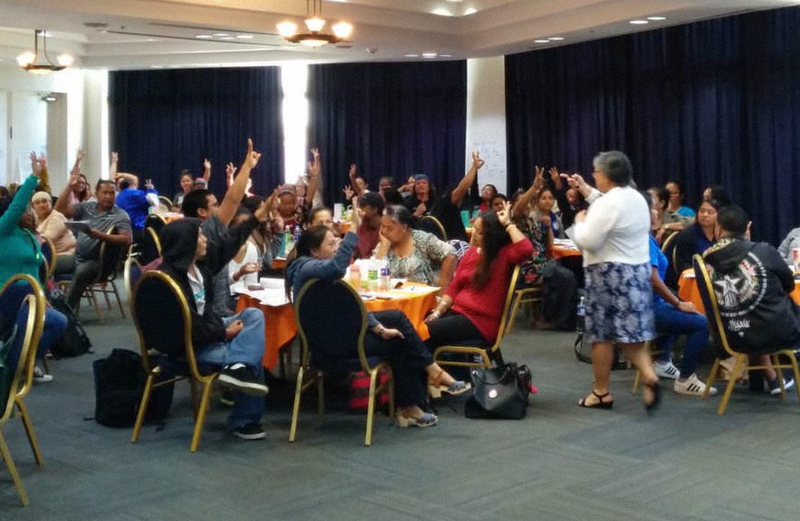 On August 9, 2018, Elaine Eclavea, Guam CEDDERS Early Childhood Consultant, facilitated the Early Childhood Outcomes (ECO) Training to over 80 CNMI PSS Early Head Start/ Head Start Program staff at the Kanoa Resort in Saipan. 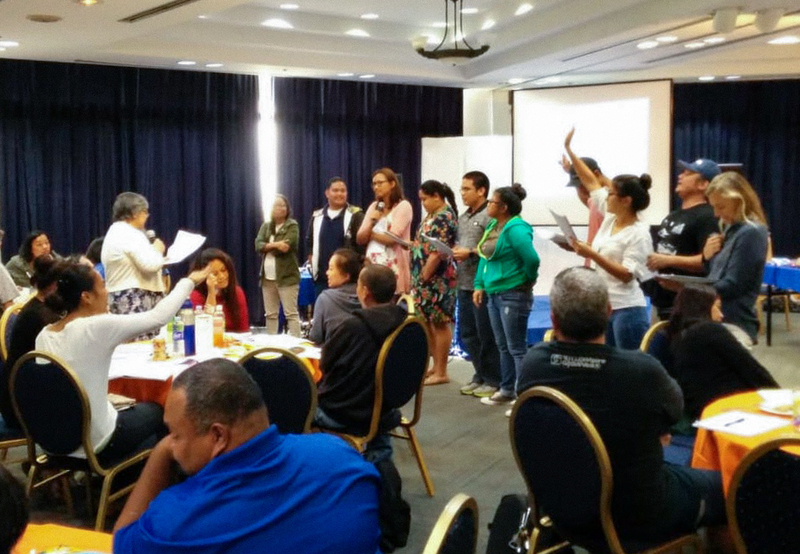 On June 22, Jenika Ballesta, Guam CEDDERS Research Associate (seated left), facilitated training on “Learn the Signs. Act Early,” for Headstart Family Advocates. The “Learn the Signs. Act Early” Program aims to improve early identification of autism and other developmental disabilities in children to enable families to access needed services and supports. 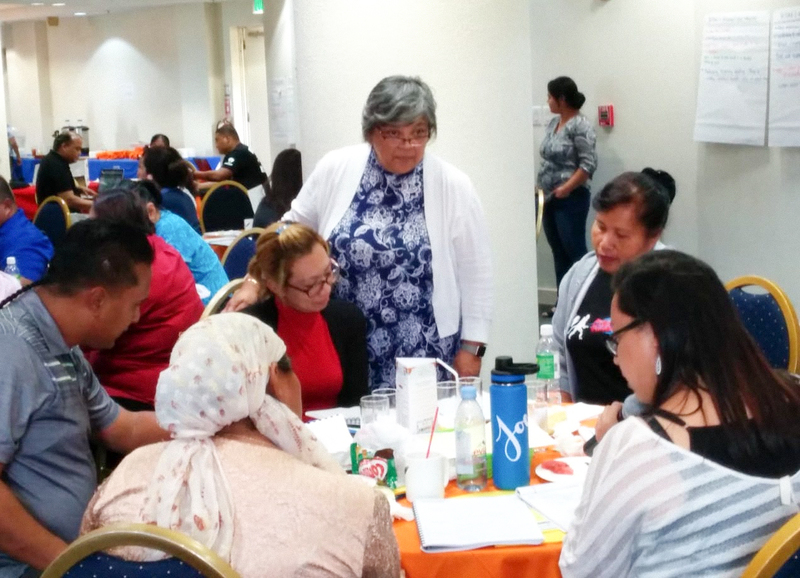 Not shown in picture: Vera Blaz, Guam CEDDERS Training Associate. 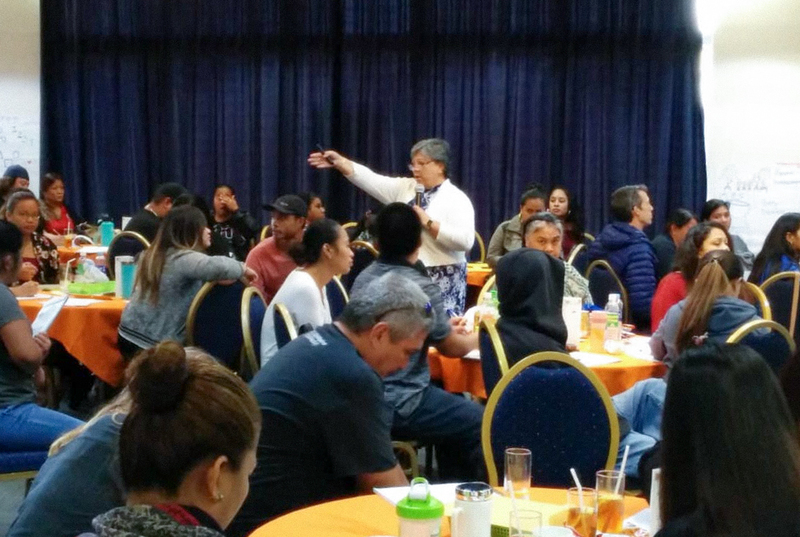 Elaine Eclavea, Guam CEDDERS Early Childhood Consultant facilitated the Parent Cafe Host training on May 3, 2018. 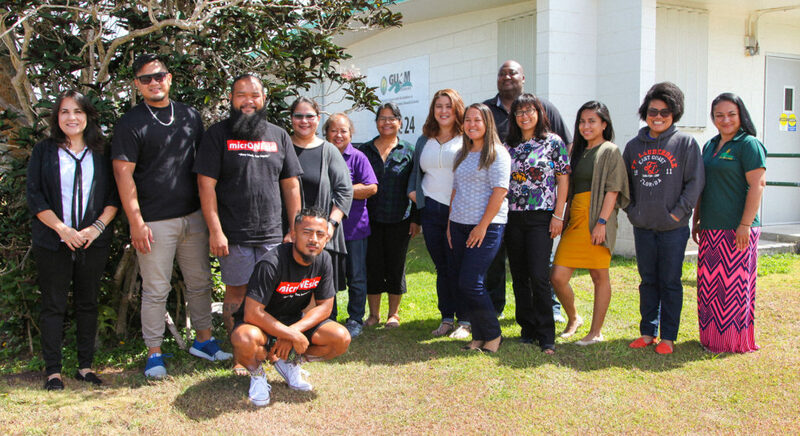 Seventeen staff from Guam Early Intervention System (GEIS) and Head Start attended the training at the University of Guam. 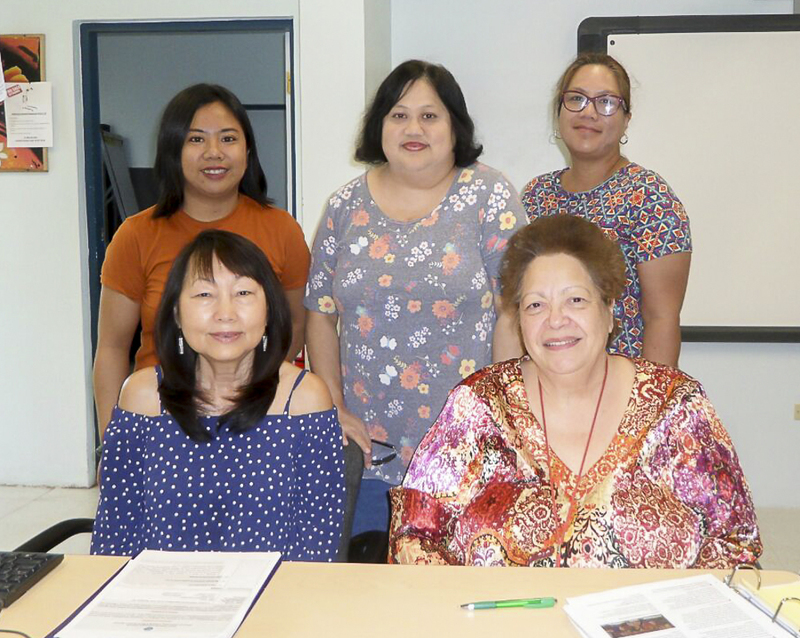 Elaine Eclavea, Guam CEDDERS Early Childhood Consultant, and Vera Blaz, CEDDERS Training Associate (not pictured), facilitated the Help Me Grow Care Coordinators training on April 30, 2018 at the GSAT Conference Room. 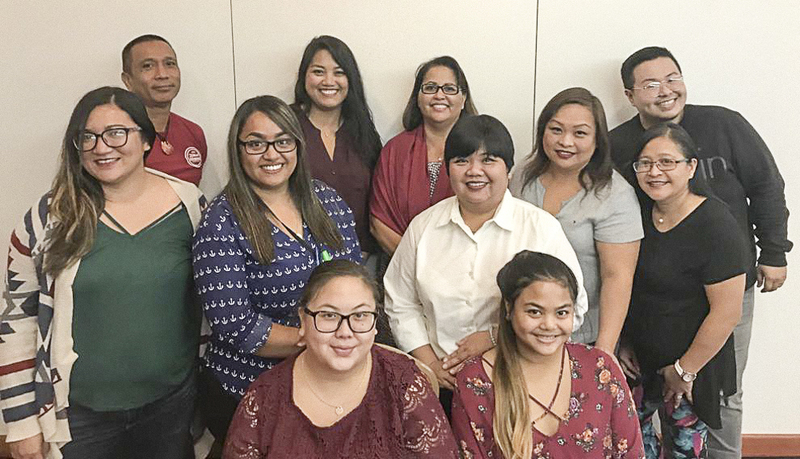 Twenty staff from Guam Early Intervention System (GEIS) and Department of Public Health and Social Services attended the training. 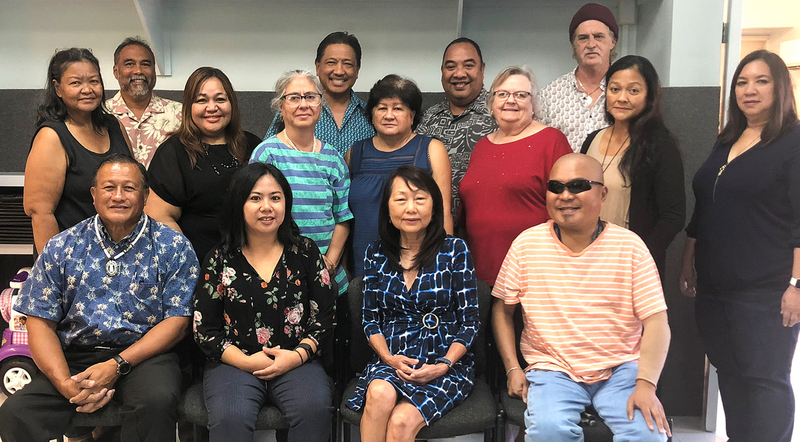 Jenika Ballesta and EDLynn Beyond were introduced to Guam Memorial Hospital Authority Hearing Screening Personnel on March 12, 2018. 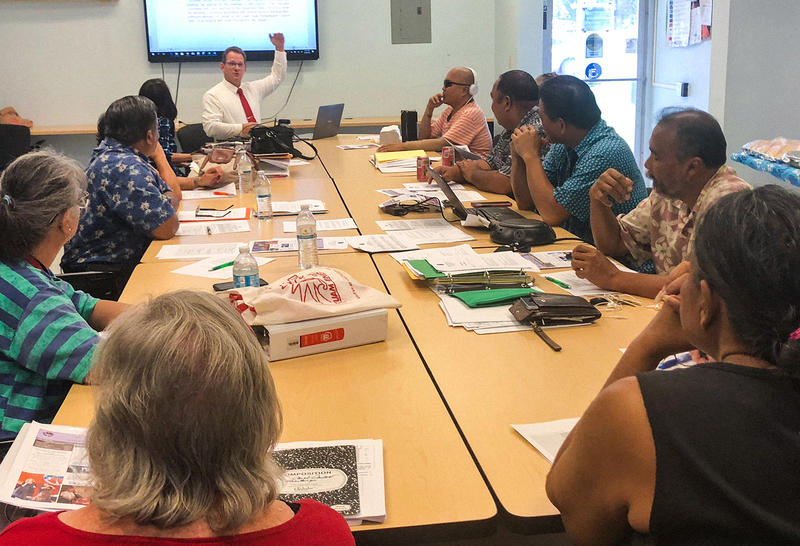 The State Rehabilitation Council (SRC) Outreach Committee held their Training and Work Session Meeting on February 5 at GSAT House 19 Dean Circle. Attendees included, (Sitting, L-R) Lou Mesa, SRC Chairperson; Jeanette Yamashita, Member; (Standing, L-R) Leah Abelon, Outreach Chairperson; Erlinda Tydingco, SRC Vice Chairperson and Outreach Committee Member; and Laura Taisipic. The SRC Outreach Committee oversees all program planning and program review related to providing outreach to the disability community and state and federal collaborators.